From Sir von Lego in the Disney Princesses thread. Looks like we're getting another series similar to the Team GB Olympic minifigures. 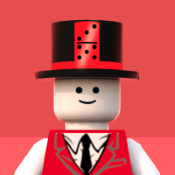 Sir von Lego has been correct before so I'm sure we can trust him! I do! We will get 4 sets in the first half of 2016..
Will the German soccer ones only be available in Germany? Only in Europe I'm assuming. Will they be accessible in the UK? I hope this rumour is true! I would love a complete football team and I guess the world champions is a wise choice! 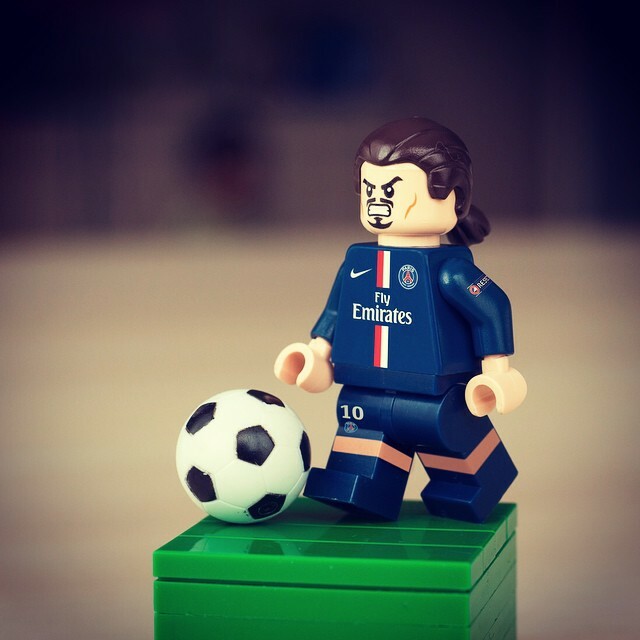 I would love a Zlatan minifig though! Ibrahimovic, half bosnian half croatian, with my roots hailing from croatia as well, I'd love a fig of him. … I'd actually love a whole Croatian team, but thats another story. The Team GB series was a separate series, not interfering with the normal ones. And really, I can't see any reason for why this series would be available anywhere outside of Germany. 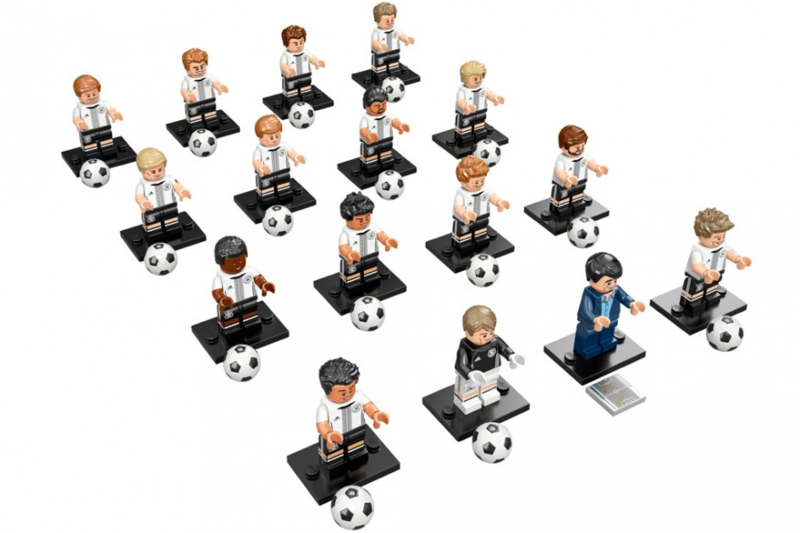 Still, it would be reasonably easy to get hold of them if you want them considering how many German AFOLs and Bricklink shop owners there are. I remember having no problem getting a complete Team GB for a good price when they were out. I wonder why they chose to make a German Soccer Team CMF Series instead of a "Team Rio" Series for Rio 2016 just like they did for London 2012. They're probably doing this instead because Germany's a larger market than Brazil. I don't care for soccer at all, but if this series gives us some good flesh heads/new colored hairpieces then I could be interested. Although since it'll probably only be available in Germany I'll probably not end up bothering to import these. Are there only going to be 9 minifigures like the team GB series or the full 16 minifigures? I seriously thought we're getting Bundesliga teams from reading the topic title. But all of Die Mannschaft? Why not? 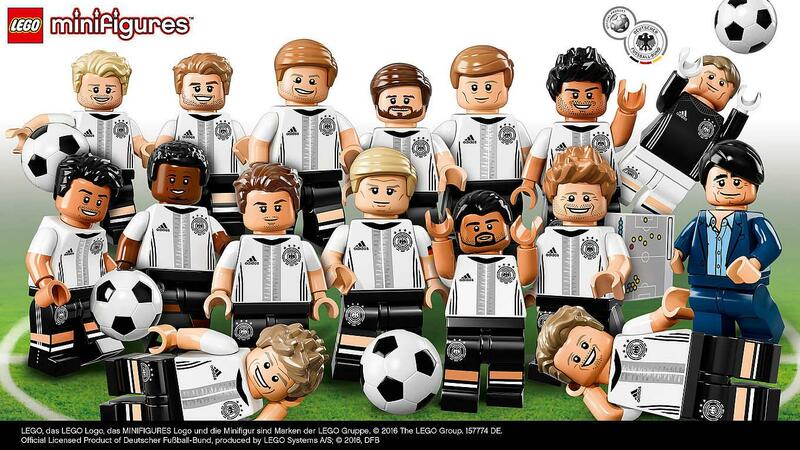 If there's gonna be only figs of the german team i have to buy them all and then burn them. They really should have done the star players from the main teams than the German team but hey ho. Hi, if the rumor is confirmed, this is great news for me ! As a football fan and Paris-Saint-Germain, I would like TLC become more involved in football. This is a custom of Zlatan Ibrahimovic I've made a few month ago. 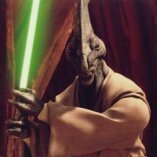 That Zlatan looks great Onikari. I just thought of how difficult it would be to feel the bags this time. Completionists better buy a box i guess. Thanks man. Yes, you're right, except for the hair, I don't see how we will differentiate them. I hope there will be a ball in each bag.